Importance of filters in photography is a debatable issue: whereas some photographers could not care less about them, others find their use crucial. Those in favour of using filters do not necessarily use the same kinds of filters: some might use colour correction filters, some are fans of polarisers, and yet others are big on neutral density (and their graduated variety) filters. And of course, many photographers use various combinations of these types of filters, as well as other filters not mentioned here. What filters one uses—or does not use—ultimately depends on the types of photography he practices as well as his personal preferences. No filter can remedy bad lighting conditions, and nothing beats naturally perfect light. 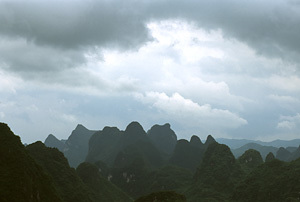 The purpose of filters is not to create a striking landscape out of a boring scene, but rather in helping the capturing medium (film or digital sensor) to correctly—or as your artistic vision dictates—record a beautiful view when technical characteristics of the medium do not permit doing so directly. Correct use of filters is such that one cannot tell by looking at a photograph whether any filters were used at all. Many traditional filters have arguably become redundant with the advent of digital photography and digital darkroom techniques. For example, white balance (colour rendition) can be set after the fact if you shoot RAW format, and slight colour cast captured on film can be corrected in a much more subtle and flexible manner in post processing than by using colour correction filters in the field. As another example, the effect achieved by using a Graduated Neutral Density filter to reduce brightness range in a scene can be easily achieved by taking two shots of the same scene—one exposed for highlights and one for shadows—and then combining them in Photoshop. Nevertheless, it is unlikely that photographic filters will ever be entirely abandoned. First, it is always best to get everything right in–camera, as this allows for more room in post processing (e.g., fewer manipulations in photo editorial software reduce the risk of colour posterisation and banding). Second, there is a number of things that no post processing can change, improve or simulate. To just mention a couple, you cannot use Photoshop to remove reflections in the same way a polarising filter does, or obtain a slower shutter speed at a given aperture and ISO setting unless you use a neutral density filter. Below I am going to look at some of the major kinds of filters, as well as elaborate how useful—or not—I find them for the types of photography that I do. In this day and age, the only arguably plausible reason for using UV filters is to protect the front element of a lens. Whereas a high quality UV filter usually is unlikely to noticeably degrade image quality, adding two extra air–and–glass transitions in front of your lens might reduce contrast in some situations. To have the best of two worlds, I use UV filters as transparent lens caps: they are attached to my lenses most of the time (after all, it is much easier and cheaper to buy a new filter than replace the front element of a lens), but I take them off when actually making exposures. And talking about protection, having a lens hood attached to your lens helps a great deal, too. Colour correction filters are designed to adjust colour temperature of light so that it matches that of a given film. In photography they are primarily used to remove the bluish cast that is induced when shooting daylight film under cloudy sky or in shadow, and hence called "warming" filters. They are useful when shooting film, because each film has a fixed colour temperature and one has no choice but to adjust the temperature of light; when using digital cameras, however, colour correction filters are completely redundant as white balance can be set after the fact to match the temperature of light (or one's artistic vision for that matter). 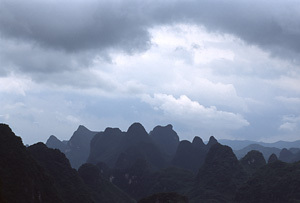 The pictures above were taken with Fujifilm Provia 100F slide film under an overcast sky. The photos on the left were taken without any filters and show a noticeable blue cast; the photos on the right, on the other hand, were taken with an 81A filter and the blue cast is visibly reduced. As with any filter, the question is if, when and why it should be used. Being in a situation where technical considerations suggest using a "warming" filter does not necessarily necessitate actually using one. From the standpoint of photographic technique, in both of the above examples lighting conditions called for using a "warming" filter. However, while the photograph in the second raw certainly benefited from using the filter, I am not sure that the same holds for the picture in the first raw: in my opinion, the photo on the left expresses the stormy mood better by adding a bit of coldness to the scene. I used to use "warming" filters (81A, 81B and 81C) quite a lot in the past, but, given the power and precision of adjustments afforded by the digital darkroom of today, I have gradually moved away from using them. Manage reflections (from water, foliage, etc.). Darken the blue sky—the most known application of polarising filters. In my opinion, this application of polarising filters should be exercised with great caution, because even a slight degree of this effect makes the sky look unnaturally dark, or even almost black, and it becomes all too obvious that the sky was polarised. Increase contrast and/or colour saturation. As a neutral density filter. There are two kinds of polarizing filters: circular and linear. This has nothing to do with their physical shape, and the difference is whether they can be used with cameras that employ auto–focus and matrix metering without affecting these functions. Buy a circular polariser if you use a modern auto–focus body. Polarisers can be neutral in colour or coloured. The former is supposed not to alter colour balance (not all polarising filters are perfect in this respect, though), while the latter adds a certain colour cast. Although I own a B+W MRC Slim Circular Polariser, I sort of gave up on it a while ago: I never liked the effect polirisers have on the blue sky, and I do not shoot autumn foliage or similar subjects often enough to warrant carrying the polariser at all times. ND filters reduce the amount of light that reaches the lens and are used to increase exposure time. This may be very useful when you want to obtain a slower shutter speed to make running water look milky or if you want moving objects to appear blurry (e.g., foreground flowers waving in the wind or walking people). Another important application is to increase exposure time to obtain minimum flash sync speed when using a fill–in flash in bright daylight. Whereas some photographers might use several ND filters of different densities to precisely control shutter speed, I generally find that one four–stop ND filter suffices for most situations. 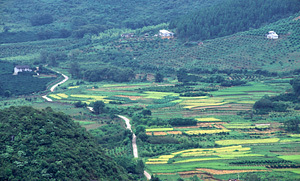 There are often situations where the difference in brightness between two parts of an image (normally foreground and the sky in landscape photography) is too great for film to capture both: if you correctly expose the foreground the sky will be washed out, and if you appropriately expose the sky the foreground will be too dark. GND filters are designed to manage the difference in brightness so that both foreground and the sky can be captured without loss of detail. Below is an example of what GND filters look like, with a Cokin two–stop GND filter on the left and a Singh–Ray two–stop GND filter on the right. Depending on how gradual the transition from filtered to non–filtered area is, GND filters come in hard graduation and soft graduation variety, with former featuring a more abrupt transition than the latter. Generally speaking, hard–edged filters are suitable for more or less straight dark–to–bight boundaries (e.g., seascapes), while soft–edged filters are more useful for interrupted dark–to–birght boundaries (e.g., mountains or cliffs). GND filters can also have different densities varying from one to five stops in one–stop steps. Using GND filters is both science and art, and every photographer ends up having his own preferable combination of GND filters. Personally, I carry a one–stop, two–stop and three–stop GND filter in soft graduation and a two–stop GND filter in hard graduation. If a scene requires more than three stops of filtration, I stack the filters that I have to get the required density. Description of metering techniques to be used with GND filters can be found here. One of the difficult things in using GND filters is precisely positioning the line of graduation. To make the task easier, stop the lens to a small aperture (say, f/16), hold the depth of field preview button and move the filter up and down—this will allow you to see the line more clearly and position it more accurately. Note that GND filters can be used upside–down, too: this trick comes in handy if you intend to capture a silhouette of the foreground without any detail in it yet contrast is not high enough to do so without a GND filter. It is of paramount importance that the neutral density filters that you use, both graduated and otherwise, are actually colour neutral: although the name suggests that they should be colour neutral by definition, in reality it is not necessarily the case. For example, Cokin filters produce a very strong magenta cast—avoid Cokin filters like the plague! Although the colour cast can be (partially) removed in post processing, seeing it in slides and then spending lots of time removing it can be very, very aggravating. 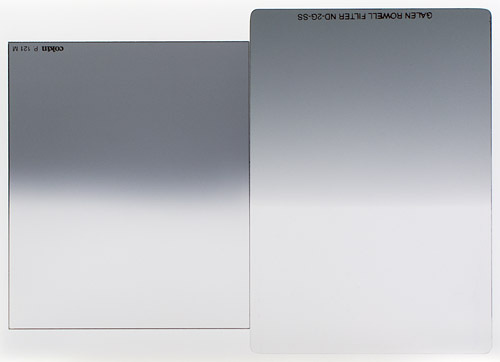 Lee, B+W and Singh–Ray filters, on the other hand, are widely reported to be neutral in colour. I can confirm that it is true in case of Singh–Ray, which is the brand that I use. You only need to buy one set of filters of the size that corresponds to the filter size of your biggest lens, and then use step–up rings to use the filters with smaller lenses. Avoid using two filters at the same time whenever possible. As mentioned above, one high quality filter is unlikely to degrade image quality visibly; however, if you put two or even more cheap plastic filters in front of your expensive lens, image quality is bound to be degraded. Be careful when using a polariser with ultra wide angle lenses, as polarising effect may vary significantly across the scene.